Delivery is subject to stock availability and credit card authorisation and a signature is required on receipt. We will only charge one lot of postage per order - however many parcels it involves. Delivery of parcel may be up until 7pm. You should allow up to 10 working days for delivery from placing the order, although we aim to deliver your order as quickly as we can. If your order has to be made for you then please allow up to 28 working days for delivery, this includes grey and brown coloured riding helmets. PLEASE NOTE: If you would like a refund or exchange, please return within 14 days of receiving the product(s). We are unable to accept returns or exchanges for customised/bespoke helmets unless the helmet is faulty. If, for any reason, you would like to return your Style Equitation order, you can send your items back to us in its original condition with proof of purchase (your email confirmation/picking list) within 14 days for a refund or exchange. 1. If you shopped through our website, just print off your order confirmation (or write a letter with your order details on) and enclose this in your parcel for return. 2. Please see our contact us page on this website for our returns address. 3. Then just take your parcel to the Post Office for posting. 4. Please make sure that you get a ‘proof of posting’ certificate from your Post Office. This will cover you if the goods are lost in the post. 5. We do not cover the cost of returns. To do this, we would have to increase the price of our products, which we would really rather not do. 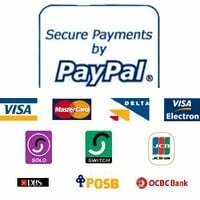 The Style Equitation online store uses the very latest encryption technology (SSL) to ensure that your transactions with us are private and protected as they travel across the Internet. When you proceed to make your purchase, your browser makes a connection to the secure section of our website. Your browser will show a padlock in the bottom right corner to indicate that it has made a secure connection and depending on your browser a window may pop-up to notify you that you are entering this safe area. All prices are shown in sterling (GBP) and include the 20% VAT rate. VAT will be deducted at checkout for all international customers. While every effort has been made to display items accurately, slight variations may occur. All measurements quoted are approximate and the reproduction of colours is as accurate as photographic and publishing processes will allow. Please note there may be variations in colours dependant on the calibration and settings of individual screens. Prices are as set out on the website and include VAT. We reserve the right to alter prices at any time. Although we endeavor to ensure that all pricing information on the Website is accurate, occasionally an error may occur and goods may be mispriced. If we discover a pricing error we will, at our discretion, either: contact you and ask you whether you wish to cancel your order or continue with the order at the correct price; or notify you that we have cancelled your order. We will not be obliged to supply goods at the incorrect price. Please remember that if you have an offer code to redeem you will need to do it on the basket page before you place your order. Unfortunately once the order is placed we cannot amend it. • To process your order as effectively as possible. • To make your shopping experience with us in the future as quick and simple as possible. • To inform you of Style Equitation offers that we think may be of interest to you. We are Style Equitation. Our office is Style Equitation, 24 Welby Road, Asfordby Hill, Melton Mowbray, Leicestershire LE14 3RB.